IBICUBE is a remote maintenance solution allowing secure remote access to the control command network from the Internet, while preserving the control command system isolated from viruses and hackers. Allows to ensure a high level of availability of your installation by remotely intervening on your control command system. In the event of problems occurring at weekends or at night, your on-call teams can intervene quickly and efficiently to preserve the integrity of your equipment and greatly reduce production losses. Remote interactions with the machine are almost instantaneous thanks to our compression technology. Allows you to access your process automation applications and servers dedicated to production monitoring in complete security. 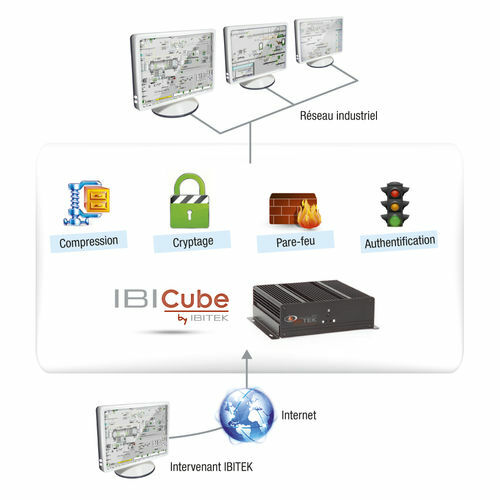 No interconnection between networks with L'IBICUBE, it has two separate network cards for the administrative network and the control network. Your control-command network is therefore well isolated from other networks. 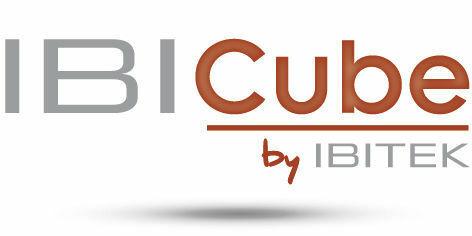 The IBICUBE has an integrated firewall that guarantees the security of exchanges between the administrative network and the supervision network.